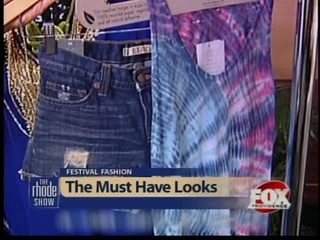 Our Picks for Jazz and Folk Fest Fashions on The Rhode Show! It was a blast being on The Rhode Show this morning to chat about celeb-inspired looks for this Newport Jazz Festival and Folk Festival. CLICK HERE TO VIEW THE SEGMENT. First up: folk, and this weekend’s forecast couldn’t be more idyllic to set up base camp at Fort Adams and listen to the beats of great performers like Brandi Carlisle, The Low Anthem and Punch Brothers, just to name a few, and funnyman Steve Martin kicks off festivities tonight at the Tennis Hall of Fame with banjo in hand and folk tunes to entertain. Our model, Newporter Heather Miller, works a white eyelet sundress by Jack Rogers paired with the Cannes Buji Baja straw bag with canvas print handles from Angela Moore, Newport. She rounds off the look with her own chic fedora, comfy flip flops and shades. Though my passport didn’t earn any coveted South American stamps, my taste buds recently took and exotic trip abroad by savoring nearly half a dozen fine wines of the region– from Chile and Argentina specifically. Since its introduction, the Forty 1° North Wine Tasting Series has explored myriad international and domestic locales, bringing to its elegantly chic surroundings vintages from around the globe. Last Wednesday evening, I was lucky enough to enjoy the spoils of South America’s lauded viticulture, starting with a 2009 “Amado Sur” Torrentes, a delicate yellow wine with light and fruity notes from Argentina’s Trivento Vineyards, located in the famed Mendoza region. It’s high-altitude is subject to a spectrum of temperatures with warm days and cool nights, and the snow melt from the Andes acts as a modern-day irrigation system. It was a perfect summer wine, as was the Chilean 2009 Veramonte Sauvignon Blanc, with its citrus flavor but slightly bold taste that complemented a pair of mini-crab cakes. The transition from whites to reds was made easy with the introduction of the 2006 Concha y Toro Terrunyo Carmenere, a rich red from the Maipo Valley in Chile that clearly earned it’s #63 ranking on Wine Spectator’s Top 100 of 2009. 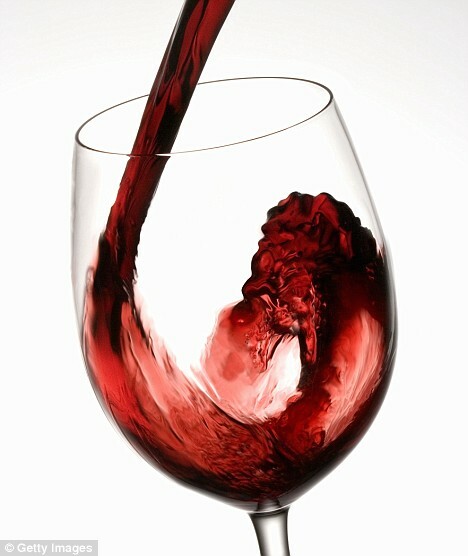 “Carmenere,” said our wine steward, Mike Murphy, roughly translates too “crimson,” a nod to the wine’s deep hue. 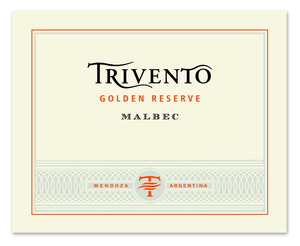 As fabulous as it was, I couldn’t help but notice the next wine up– Trivento’s Golden Reserve Malbec (2006) that promises, according to the vineyard, “a bouquet of berry fruits, plum jam, coffee and tobacco notes.” And it delivered. 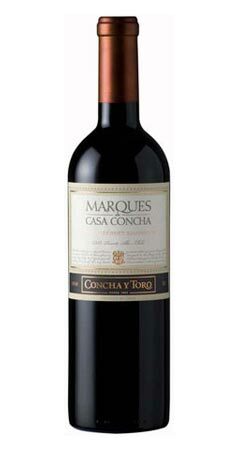 It was hard to imagine, then, how the grand finale, the Marques de Casa Concha Cabernet Sauvignon (2007, from Puente Alto, Chile) would trump it, but with its ow n distinct flavor, one described by Wine Spectator as “alluring aromas of cedar, lavender, blackcurrant and blackberry are followed by a plush, layered, succulent wine with gobs of black fruit, ripe tannin, and 2-3 years of aging potential,” it was a winner. Most wines were paired with a equally lovely small bites. This Thursday, the Wine Series continues (Cost: $40 per person, $30 for 41N Card holders) with a tantalizing selection from Italy, home of 20 wine-producing regions and some of the oldest vineyards in the world. Salute! 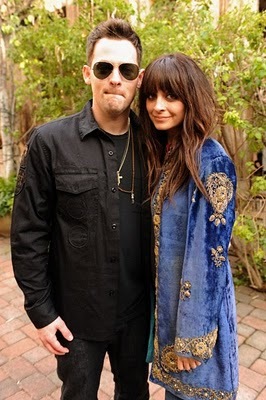 for more information on the series, CLICK HERE. Opa! One of the most anticipated street fairs of the summer returns this weekend bringing with it the rich spirit and savory flavors of ancient Greece. The St. Spyridon Annual Hellenic Fest, celebrated at the corner of Thames and Brewer Streets in downtown Newport, is a home-town, tented affair with Greek dishes (dolmades, souvlaki, moussaka, gyros– its all there), music, traditional dancing (where everyone is invited to join in and you can get down Zorba-style), a marketplace and the taverna, where you can enjoy cold beers, wine and authentic ouzo. The fest kicks off today at 4 p.m., celebrating through midnight, and continues Saturday from noon to midnight and Sunday from noon to 6 p.m. Rain or shine, free admission. Opa! Shomer and Andrea van Buren, have come together to form newportFILM, an organization that promises to bring film and filmmakers to the area and create a richer experience of the medium for both Newport residents and visitors. The long-term goal is to bring a full-scale film festival back to the City-by-the-Sea by summer 2011, but in the short term, cinemaphiles can wet their whistles with two outdoor film screenings in July and two more planned for later this season. To the delight of organizers (but perhaps not fans), the first showing of Sam Taylor-Wood’s Nowhere Boy, a feature debut that imagines the formative years of John Lennon, to be screened at dusk at the International Tennis Hall of Fame, sold out in a snap. However, No Impact Man, which will be shown on Wednesday, July 28 at Middeltown’s Sweet Berry Farm, still has availability. (Tickets are free but registration required. See below for link to register.) 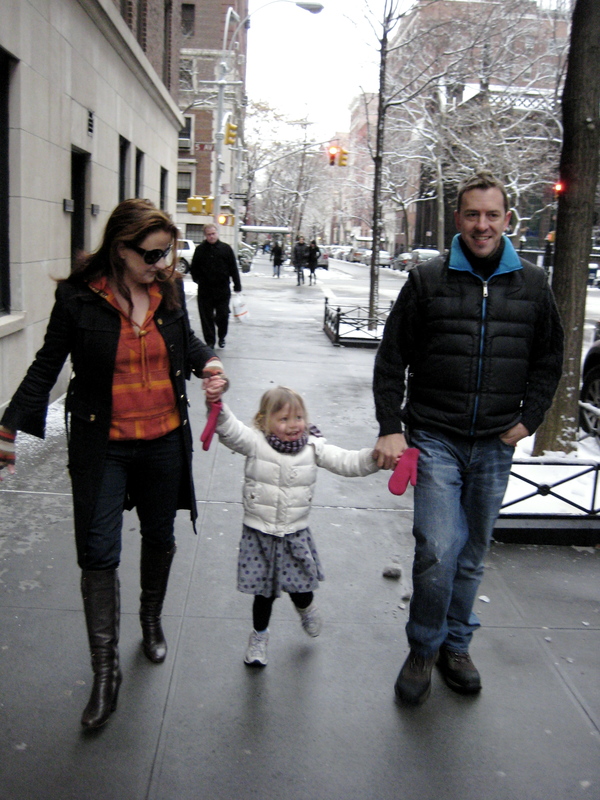 No Impact Man is a documentary following New Yorker Colin Beavan as he embarks on a year-long project in which he, his wife Michelle Conlin (a business writer for Newsweek who shared her unique experience of being along for the ride with New York Magazine HERE), their two-year-old daughter, and their dog attempt to minimize their environmental footprint by living off the grid in the middle of New York City (read his blog about his experiences and how you can reduce your impact HERE). In a delightful twist, Beavan and his family will attend the Middletown screening and give the audience a chance to hear from these individuals about an experiment in living that has already became a national fascination. If you play your cards right, and Mother Nature co-operates, you can enjoy almost an entire week of great music in unorthodox, al fresco venues here on Aquidneck Island. 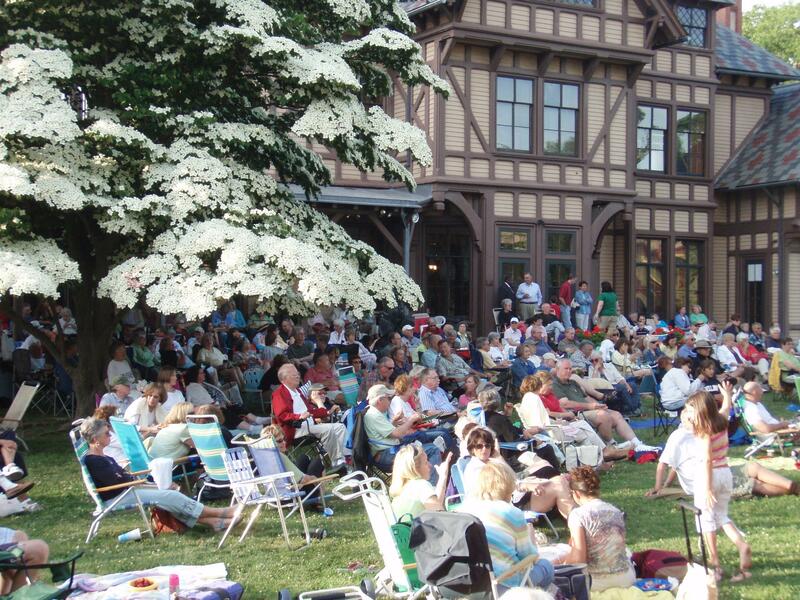 On Thursday, Portsmouth’s lovely Glen Manor House hosts a free, old-fashioned outdoor pops concert beginning at 6 p.m. 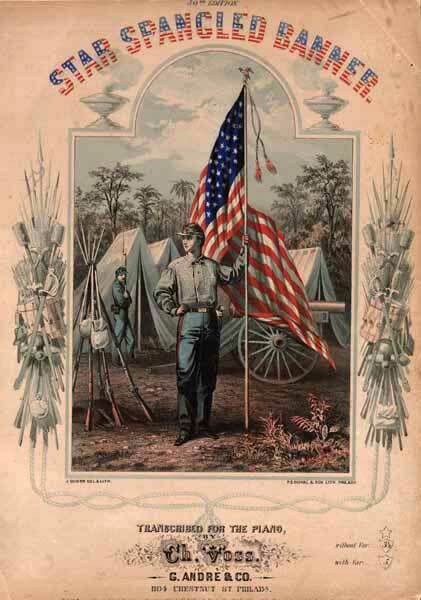 The 57-member American Band will open the concert with the “Star Spangled Banner” and conclude with everybody standing for “Stars and Stripes Forever.” Picnics are encouraged so bring your blankets and chairs for this fun, outdoor, informal event (rain or shine). Handicapped parking and chairs for seniors will be available. Directions are available by phoning (401) 683-4177 or by CLICKING HERE. Friday evening should lead you to Newport Art Museum’s Griswold House, where the First Fridays Series welcomes musicians specializing in all different genres. This is not to be confused with the NAM’s PM Musical Picnic Series, which are hosted on the Griswold House lawn on the last Wednesday of the month through August. The first First Fridays Series ushers in The Bob Kendall Band from 5:30 p.m. to 8:30 p.m. and admission is $5 for members, and $8 for non-members. As the event is inside the museum, this is is not picnic style, but there will be a cash bar with wine from the fabulous Newport Wine Cellar. And of course, the Newport Independent Music Festival continues their Sunday afternoon concert series with a variety of artists playing at the picturesque King Park gazebo overlooking Newport Harbor. This Sunday, catch jazz pianist Josh Fialkoff from the usual time, 3 p.m. to 6 p.m. Picnics encouraged, so bring your own grub, or you can visit Lou’s Hot Dogs & More hot dog cart- while supplies last! Bordered on three sides by water, Barrington is best known as an affluent bedroom community with some extraordinary views and fine living. 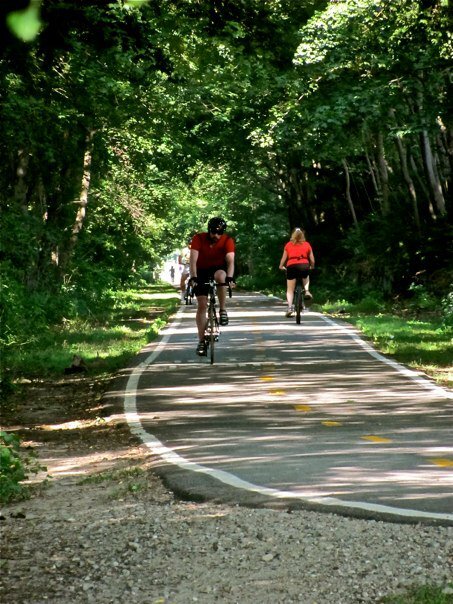 With the town beach boasting four acres of unspoiled shoreline overlooking Narragansett Bay, it’s hard to imagine the town is just nine miles from the capital city. Restaurants, ice cream shops and bakeries (like the beloved Vienna Bakery, which stays stocked with European treats including eclairs, German Bismarks, palmiers, baklava, Napoleons, Italian cookies and more) are found throughout town, and mom-and-pop owned retail shops keep service personal. Feminine Fancies, 290 County Rd., (401) 247-1087: Dresses and polished pieces by Milly and Shoshanna, et al., plus shoes, accessories and lingerie– this shop is stocked for the well-dressed woman. Frugal fashionistas should keep their eyes peeled for their famed sidewalk sales. Teddy Bearskins and Bearskins for Boys, 290 County Rd., (401) 245-8703: This shop, catering to the smaller set, carries children’s and infant clothing, formalwear, toys and more. 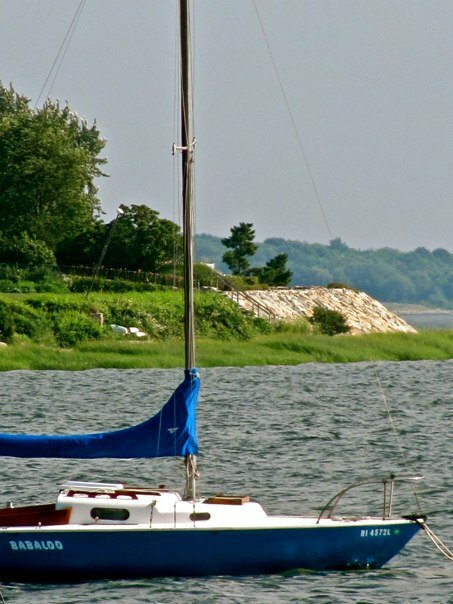 Other locations are in nearby Wickford and in Mystic, Connecticut. Alfred’s of Barrington Consignments, 18 Maple Ave. (401) 245-3101: Home to antiques, gently used fine furnishings and home accessories. Grasmere, 40 Maple Ave., (401) 247-2789: For more than 15 years, Grasmere has been creating fabulous custom made silk and dried floral arrangements and proffering hand-crafted pottery from their shop that beautifies Barrington. It’s in rare form during the holiday season, when live musicans make appearances and the place is, simply put, magical. Hollie’s on the Avenue, 60 Maple Ave., (401) 245-0090: Walking in this specialty gift shop is like walking into the pages of Coastal Living magazine. In addition to great table wear, decorative pillows, you’ll find Scout and Amy Butler bags, totes, hats, a few cover-ups and tons more. DK Fabrics and Handbags, 70 Maple Ave., (401) 245-2300: Wanna custom design your own handbag? Want some one with style to do it for you? Want yards and yards of fab fabric? It’s all at your fingertips at this great little haunt. The 27th Annual Black Ships Festival kicks off today bringing with it 50 exciting events that invite Newporters and our guests experience Japanese art, culture and music. Of course, if you’re looking for ships, you’ll come up empty-handed as the festival commemorates Newport’s own Commodore Matthew C. Perry’s role in the signing of the Treaty of Kanagawa, which initiated the trading relationship between Japan and the United States. (Between the 15th and 19th centuries, vessels from the West arriving in Japan were referred to as “Black Ships.”) Ergo, there are no actual Black Ships in port, but there is a ton to see and do (and taste). 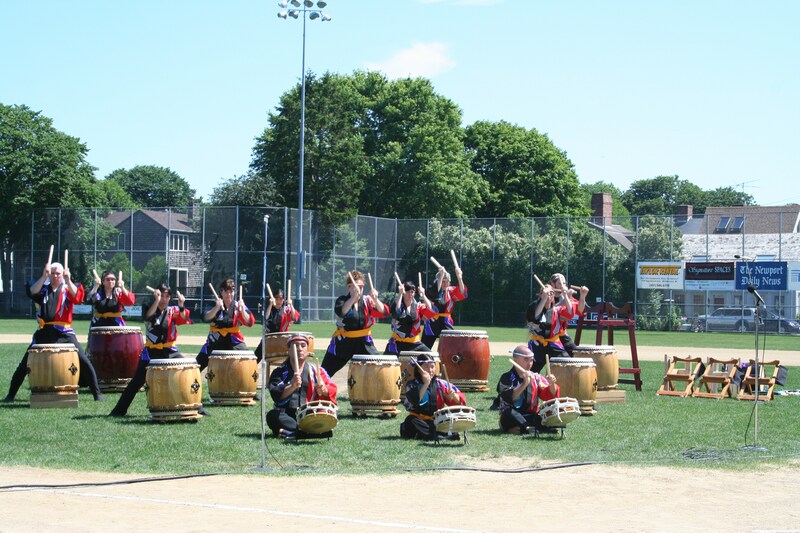 Presented by The Japan-America Society, the festival, which lasts now through Sunday, includes tea tastings, demonstrations and workshops, a Sailing, Sake & Sushi cruise aboard the Aurora, shopping at the Japanese American Market (at Brick Market Place), a comedy show starring Tony V., an arts and crafts fair, the much-loved Taiko Drum Festival at Cardines Field (pictured above), Sumo wrestlers, and the Black Ships Gala at Rosecliff. New this year to the festival is an Anime Masquerade, where Anime fans will dress as their favorite anime character and dance the night away at the Dockside on Waite’s Wharf.